Miri Kat is a British producer and visual artist who is coding her art live. She’s interested in new music and web technologies, hacking, creative coding, algorithmic music and generative visuals. By day, she’s an engineer of electronic musical instruments, by night she’s one of the forces behind the Algorave movement. 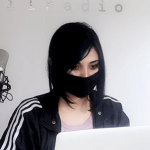 At Unsound 2018 she will not only perform but will also run a workshop on livecoding music, together with Renick Bell. Renick Bell is an American programmer and computer musician based in Tokyo. 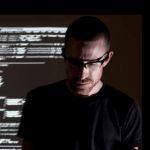 Researching live coding, he’s become one of the most recognizable faces of the Algorave movement, although his music has been released through many different outlets – from UIQ through Halcyon Veil to Seagrave. At Unsound 2018, Renick will not only perform his music live but will also lead workshops on live coding together with Miri Kat.